Good help is… easy to find! That's right. If you need the services of a garage door company, form repair to replacement and even basic maintenance, you've found the right team to call. Garage Door Repair Humble has you covered. This statement is true whether it's a matter of dealing with a broken spring, fixing a problem with the opener, or installing a new overhead door. Being near you doesn't automatically make us the best. However, the hard work and dedication and quality garage door parts you get with us do. What Garage Door Opener is Best For Me? The answer will vary according to your budget and needs. Are you looking for an ultra-silent garage door opener? Then a belt drive unit by Genie or LiftMaster may work best. Want an affordable and reliable model? Then maybe a Chamberlain chain drive garage door opener is going to meet your needs. Each type will offer different advantages and downsides. Understanding the pros and cons of garage door opener types is easy to understand, especially when consulting with nearby pros. The team at Garage Door Repair Humble is happy to share advice and provide guidance for anyone who wants to buy a new opener or even a new door. With a reliable garage door company, you can get information and quality service, any day of the week. Although the opener plays a huge factor in the performance of your automatic garage door, it's not the part doing most of the heavy lifting. The springs are the ones that do that. They serve as the muscles of the door. That's why a broken garage door spring, or one that's significantly worn, is going to cause a major problem. Can a garage door open with a broken spring? Perhaps. But should you try to use it under those circumstances? No. Get help from the nearest garage door company (that'd be us here at Garage Door Repair Humble) and make sure that your door returns to its safe and fast movement again. 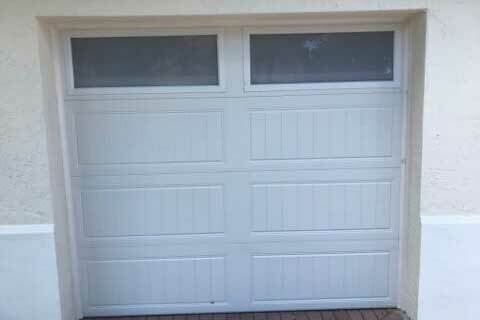 Can You Help Me Decide What Garage Door is Best? Of course. The team here at Garage Door Repair Humble is always happy to help any homeowner close to Houston or Deer Park. All major brands and manufacturers are available with us, from Clopay to Amarr and Winsdor. Have us help you decide between steel garage doors to wooden panels or even vinyl or aluminum. Each material presents different pros and cons for your garage door, but with our guidance and advice, you'll get all the info you need to make an informed decision. Get a free estimate on a new garage door and have it installed by local experts. You'll find us, being a local garage door company, happy to offer installation services to any homeowner in the Humble and Houston area of Texas. From Baytown to Friendswood to Conroe, if you're anywhere close to Garage Door Repair Humble, you can get a same day response from a professional technician. Whether you want to know how to install garage doors or you need help with bent tracks, misaligned sensors, or broken cables and springs. With us, you'll get same day repairs and all the additional assistance you need. Call today for expert services. Let professional garage door technicians help when something goes wrong. 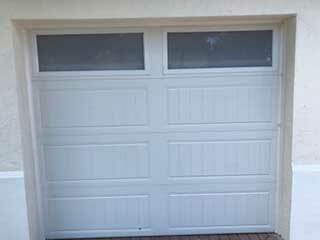 Garage Door Repair Humble offers same day repair services and a complete satisfaction guarantee. Whether you need to have a broken spring repaired or you're looking to get a completely new garage door opener installed, contacting us is the right move. Give us a call or schedule a service appointment online. Thank you for choosing our company! Feel free to browse our website for more information in the meantime. Our team at Garage Door Repair Humble is at your service any time!